Our staff at Medifocus is committed to keeping our subscribers to the Medifocus Digest Alert on Peripheral Neuropathy abreast of the latest new research developments that have recently been published in the medical literature for this condition. In this issue of the Digest Alert, you will find a focused list of hand-picked journal article references that represent the latest advances in basic and clinical research for Peripheral Neuropathy. 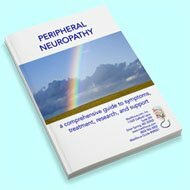 These articles represent the current state-of-the-art of the research that will hopefully lead to additional major advances and breakthroughs in the clinical management of Peripheral Neuropathy. You can access the summaries of each article referenced below by simply clicking on the article Title. We will continue to update you with the latest scientific and clinical developments through the Medifocus Digest Alert on Peripheral Neuropathy every 3 months. Thank you for your ongoing subscription to this publication. 1: Vascular factors and neuropathy in lower limb of diabetic patients. Institution: Department of Neurology, Haeundae-Paik Hospital, Inje University, College of Medicine, South Korea. Electronic address: neurof@naver.com. Journal: J Clin Neurosci. 2019 Jan;59:130-135. doi: 10.1016/j.jocn.2018.10.115. Epub 2018 Nov 9. 2: Prostaglandin E1 plus methylcobalamin combination therapy versus prostaglandin E1 monotherapy for patients with diabetic peripheral neuropathy: A meta-analysis of randomized controlled trials. Institution: College of Biology and Pharmacy, Guangxi Key Laboratory of Agricultural Resources Chemistry and Biotechnology, Yulin Normal University, Yulin. Chemistry and Biotechnology, Yulin Normal University, Yulin. University, Hangzhou. Chemistry and Biotechnology, Yulin Normal University, Yulin. Guangzhou. Chinese and Western Medicine, Foshan, China. Journal: Medicine (Baltimore). 2018 Nov;97(44):e13020. doi: 10.1097/MD.0000000000013020. 3: Short-term and long-term effects of immunoadsorption in refractory chronic inflammatory demyelinating polyneuropathy: a prospective study in 17 patients. Institution: Universitatsklinik Ulm, RKU, Oberer Eselsberg 45, 89081, Ulm, Germany. johannes.dorst@uni-ulm.de. Journal: J Neurol. 2018 Dec;265(12):2906-2915. doi: 10.1007/s00415-018-9082-6. Epub 2018 Oct 6. 4: Risk factors for paclitaxel-induced peripheral neuropathy in patients with breast cancer. Institution: Nutrition Research Center, Department of Clinical Nutrition, School of Nutrition, Tabriz University of Medical Sciences, Tabriz, Iran. Tehran University of Medical Sciences, Tehran, Iran. Tabriz, Iran. Aurora, CO, USA. Journal: BMC Cancer. 2018 Oct 5;18(1):958. doi: 10.1186/s12885-018-4869-5. 5: Low serum phosphate and magnesium levels are associated with peripheral neuropathy in patients with type 2 diabetes mellitus. Institution: Department of Endocrinology and Metabolism, Huashan Hospital, Fudan University, Shanghai 200040, China. Electronic address: xia1119@hotmail.com. ; Jing'an District Center Hospital of Shanghai, Fudan University, Shanghai 200040, China. ; Department of Endocrinology and Metabolism, Huashan Hospital, Fudan University, Shanghai 200040, China. Electronic address: zhangshuo@huashan.org.cn. Journal: Diabetes Res Clin Pract. 2018 Dec;146:1-7. doi: 10.1016/j.diabres.2018.09.015. Epub 2018 Sep 28. 6: Alpha lipoic acid combined with epalrestat: a therapeutic option for patients with diabetic peripheral neuropathy. Institution: Shenzhen Bao'an Traditional Chinese Medicine Hospital Group, Guangzhou University of Chinese Medicine, Shenzhen 518133, People's Republic of China, 1807759191@qq.com. Guangzhou 510405, People's Republic of China. Guangzhou 510006, People's Republic of China. of Chinese Medicine, Shenzhen 518133, People's Republic of China, 1807759191@qq.com. Guangzhou 510006, People's Republic of China, zhangrenn@foxmail.com. Journal: Drug Des Devel Ther. 2018 Sep 7;12:2827-2840. doi: 10.2147/DDDT.S168878. eCollection 2018. 7: A meta-analysis of surgical decompression in the treatment of diabetic peripheral neuropathy. Institution: Department of Hand and Foot Surgery. Journal: Medicine (Baltimore). 2018 Sep;97(37):e12399. doi: 10.1097/MD.0000000000012399. 8: A new look at painful diabetic neuropathy. Institution: Diabetes Research Unit, Sheffield Teaching Hospitals NHS Foundation Trust & Academic Unit of Radiology, University of Sheffield, Sheffield, United Kingdom. Electronic address: solomon.tesfaye@sth.nhs.uk. ; Department of Endocrinology, Xiangya Hospital, Central South University, Changsha, Hunan, China. ; FMRIB, Nuffield Department of Clinical Neurosciences, University of Oxford, Oxford, United Kingdom. ; Peripheral Neuropathy Unit, Centre for Clinical Translation, Imperial College London, Hammersmith Hospital, London, United Kingdom. Journal: Diabetes Res Clin Pract. 2018 Oct;144:177-191. doi: 10.1016/j.diabres.2018.08.020. Epub 2018 Sep 7. 9: Surgical peripheral nerve decompression for the treatment of painful diabetic neuropathy of the foot - A level 1 pragmatic randomized controlled trial. Institution: Northern Ontario School of Medicine, Sudbury, Canada. Electronic address: tjb@bestsurg.com. Journal: Diabetes Res Clin Pract. 2019 Jan;147:149-156. doi: 10.1016/j.diabres.2018.08.002. Epub 2018 Aug 4. 10: Erythropoietin: A potential drug in the management of diabetic neuropathy. Institution: Division Academica de Ciencias de la Salud, Universidad Juarez Autonoma de Tabasco, Av. Gregorio Mendez 2838-A. Col. Tamulte, C.P. 86100, Villahermosa, Tabasco, Mexico. Electronic address: iselajuarezrojop@hotmail.com. ; Division Academica Multidisciplinaria de Comalcalco, Universidad Juarez Autonoma de Tabasco, Rancheria Sur, Cuarta Seccion, C.P. 86650, Comalcalco, Tabasco, Mexico. Electronic address: deysi.bermudez@ujat.mx. Journal: Biomed Pharmacother. 2018 Sep;105:956-961. doi: 10.1016/j.biopha.2018.06.068. Epub 2018 Jun 19. 11: Corticosteroids in chronic inflammatory demyelinating polyneuropathy : A retrospective, multicentre study, comparing efficacy and safety of daily prednisolone, pulsed dexamethasone, and pulsed intravenous methylprednisolone. Institution: Academic Medical Centre, University of Amsterdam, Amsterdam, The Netherlands. g.g.a.vanlieverloo@amc.uva.nl. ; Neurology Clinic, Clinical Centre of Serbia, School of Medicine, University of Belgrade, Belgrade, Serbia. ; Neuromuscular and Neuroimmunology Service, Department of Medical Biotechnology and Translational Medicine, Humanitas Clinical and Research Centre, Milan University, Rozzano, Milan, Italy. Journal: J Neurol. 2018 Sep;265(9):2052-2059. doi: 10.1007/s00415-018-8948-y. Epub 2018 Jul 2. 12: Peripheral neuropathy in diabetes: it's not always what it looks like. Institution: Department of Diabetes and Endocrinology, Guy's and St Thomas' NHS Trust, London, UK. Trust, London, UK. Trust, London, UK. UK. UK. Journal: Diabet Med. 2018 Oct;35(10):1457-1459. doi: 10.1111/dme.13701. 13: Cold therapy to prevent paclitaxel-induced peripheral neuropathy. Institution: Department of Hospital Medicine, Feinberg School of Medicine, Northwestern University, Chicago, IL, USA. University, Chicago, IL, USA. Journal: Support Care Cancer. 2018 Oct;26(10):3461-3469. doi: 10.1007/s00520-018-4199-9. Epub 2018 Apr 21. 14: Effect of aerobic training on nerve conduction in men with type 2 diabetes and peripheral neuropathy: A randomized controlled trial. Institution: Department of Exercise Physiology, School of Physical Education and Sport Sciences, Shahrood University of Technology, Shahrood, Iran. Electronic address: gholami-fa@shahroodut.ac.ir. Sciences, University of Tabriz, Tabriz, Iran. University of Medical Sciences, Tabriz, Iran. Canada. Sciences, University of Tabriz, Tabriz, Iran; Department of Exercise Physiology, School of Physical Education and Sport Sciences, University of Shahid Beheshti, Tehran, Iran. Journal: Neurophysiol Clin. 2018 Sep;48(4):195-202. doi: 10.1016/j.neucli.2018.03.001. Epub 2018 Mar 30. 15: Retrospective Case Series on the Treatment of Painful Diabetic Peripheral Neuropathy With Dorsal Root Ganglion Stimulation. Institution: Department of Pain, The James Cook University Hospital, Middlesbrough, UK. Journal: Neuromodulation. 2018 Dec;21(8):787-792. doi: 10.1111/ner.12767. Epub 2018 Mar 25. 16: Early-Onset Physical Frailty in Adults With Diabesity and Peripheral Neuropathy. Institution: Physical Therapy Program, San Diego State University, San Diego, California, United States. Electronic address: ltuttle@mail.sdsu.edu. Missouri, United States. Missouri, United States. Missouri, United States. Journal: Can J Diabetes. 2018 Oct;42(5):478-483. doi: 10.1016/j.jcjd.2017.12.001. Epub 2017 Dec 7. 17: Advantages of early diagnosis of diabetic neuropathy in the prevention of diabetic foot ulcers. Institution: Diabetic Foot Unit, Universidad Complutense de Madrid, Madrid, Spain. Electronic address: iresanzcorbalan@hotmail.com. address: diabetes@ucm.es. address: esthergarciamorales@yahoo.es. address: rauljmolines@hotmail.com. address: fraalv@hotmail.com. address: yolienf3@hotmail.com. Journal: Diabetes Res Clin Pract. 2018 Dec;146:148-154. doi: 10.1016/j.diabres.2017.12.018. Epub 2017 Dec 27.